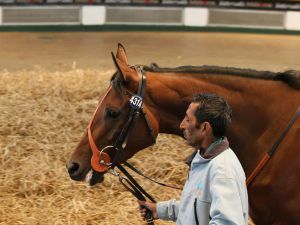 The Nell Gwyn winner ESENTEPE topped proceedings on the second day of the Tattersalls July Sale when selling for 220,000 guineas. 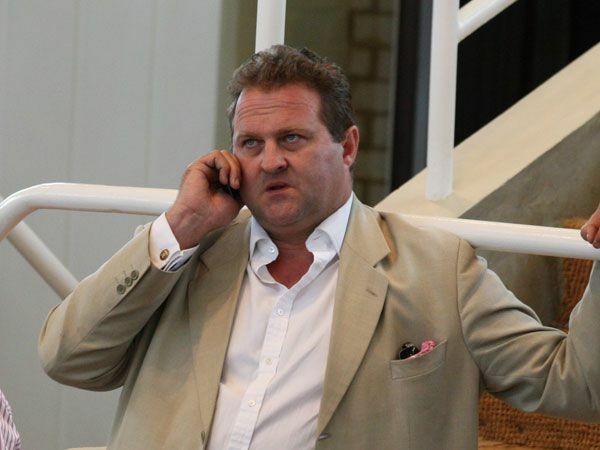 The day, which is split into two sessions saw a total of 137 lots sell for 1,903,600 guineas, at an average of 13,895 guineas and a median of 7,000 guineas. 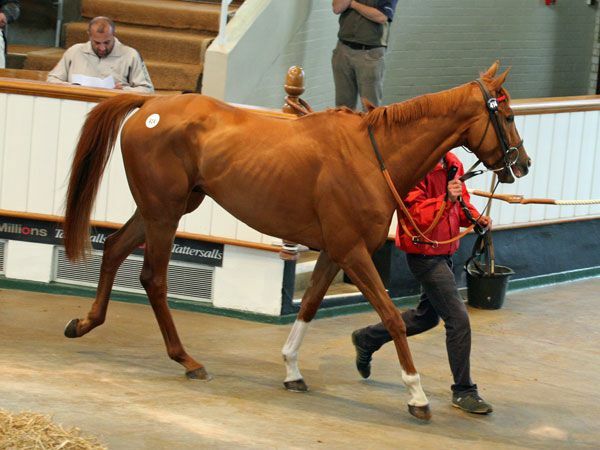 Trained by Richard Hannon on behalf of Middleham Park Racing, the ORATORIO filly ESENTEPE was always going to be in strong demand following her win in April in the Group 3 Nell Gwyn Stakes at Newmarket and so it proved before Blandford Bloodstock’s Tom Goff secured the filly of 220,000 guineas. 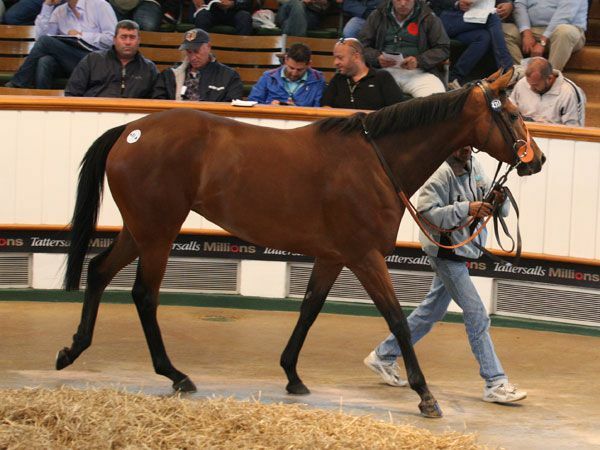 The sale provided a great return for her owners who had purchased her via agent Peter Doyle as a yearling at Book 2 of the Tattersalls October Yearling Sale for 22,000 guineas. "It was very nearly my last bid," admitted Goff, who was acting for a new overseas partnership. "I think she is a lovely filly as both a broodmare and a racing prospect and I think she might have made more if she had been offered in December. She will have a short holiday and will go into training with David Wachman and will then go to stud." Earlier in the evening agent Tom Malone went to 100,000 guineas to secure the MEDICEAN four-year-old FIGARO at the expense of trainer Donald McCain. The son of the PIVOTAL mare CHORIST was consigned with an official rating of 90 following an impressive win at Goodwood for trainer William Haggas. "He has been bought for an existing owner with Tim Vaughan," said Malone. "He looks a proper dual-purpose type, and he has got a pretty high rating  even though he looks as though he has got some more developing to do." The Ger Lyons consigned three-year-old colt KING’S WARRANT topped the morning session when he was knocked down to Martin and Maureen Flinter for 47,000 guineas. The son of KING’S BEST was a last start winner since the catalogue had been published off a mark of 79 and also attracted the attentions of BBA Ireland’s Michael Donohoe and agent Richard Venn. The son of TIGER HILL has been bought to go jumping by his Naas-based owners. "He was our pick on paper before we got here," said the couple of the athletic colt. "We watched his last run on video and liked his attitude. We'll get him home, geld him and then bring him back to go hurdling. We have not yet decided who will train him." 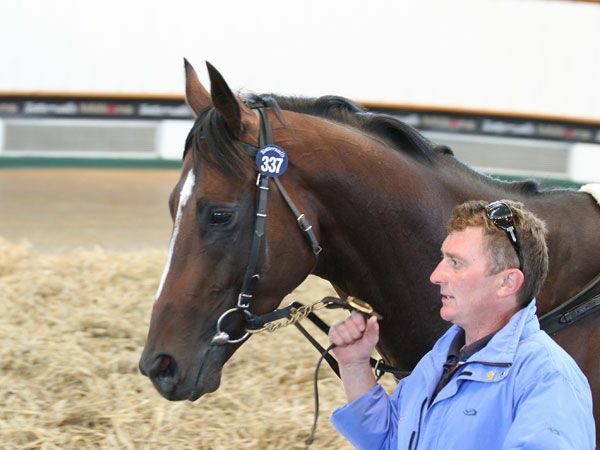 The Tattersalls July Sale continues at 9.30am on Friday, July 13th.